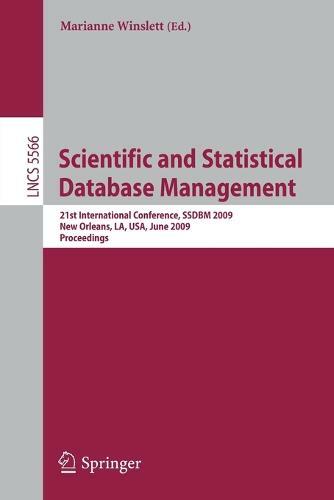 This book constitutes the refereed proceedings of the 21st International Conference on Scientific and Statistical Database Management, SSDBM 2009, held in New Orleans, LA, USA in June 2009. The 29 revised full papers and 12 revised short papers including poster and demo papers presented together with three invited presentations were carefully reviewed and selected from 76 submissions. The papers are organized in topical sections on improving the end-user experience, indexing, physical design, and energy, application experience, workflow, query processing, similarity search, mining, as well as spatial data.